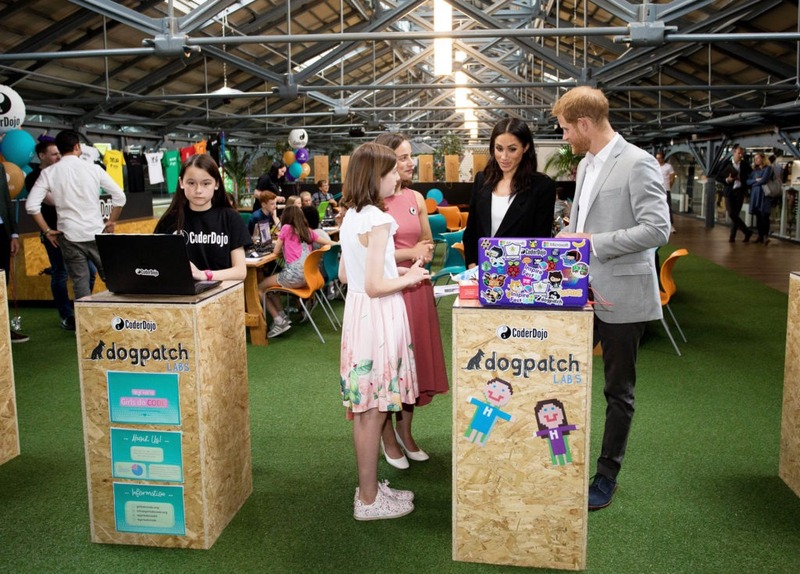 Meghan Markle and Prince Harry spent time with young people at the DogPatch Labs in Dublin’s CHQ building this afternoon. Before jetting back to the UK, the Duke and Duchess of Sussex visited the startup hub, located in the Dublin Docklands. 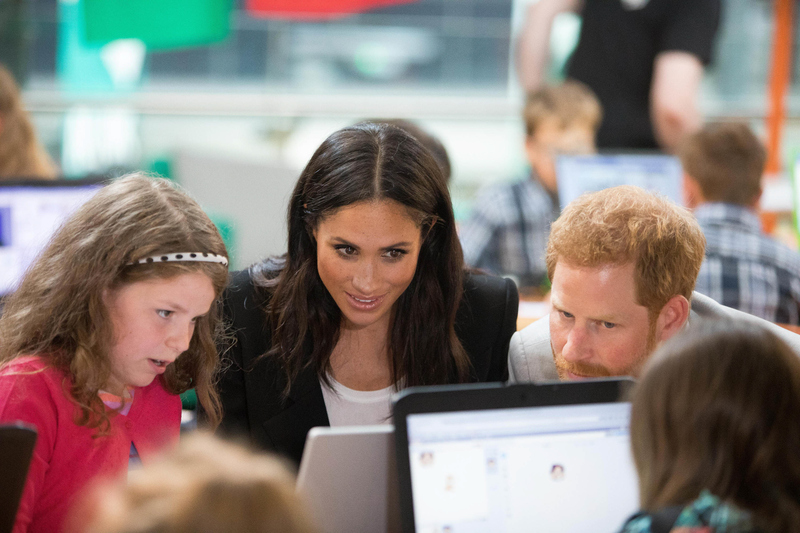 During their visit, Meghan and Harry spent time with some CoderDojo ninjas. CoderDojo is a global network of free, volunteer-led, community-based programming clubs for young people. Anyone aged seven to seventeen can visit a Dojo – where they can learn to code, build a website, create an app or a game, and explore technology in an informal, creative, and social environment. 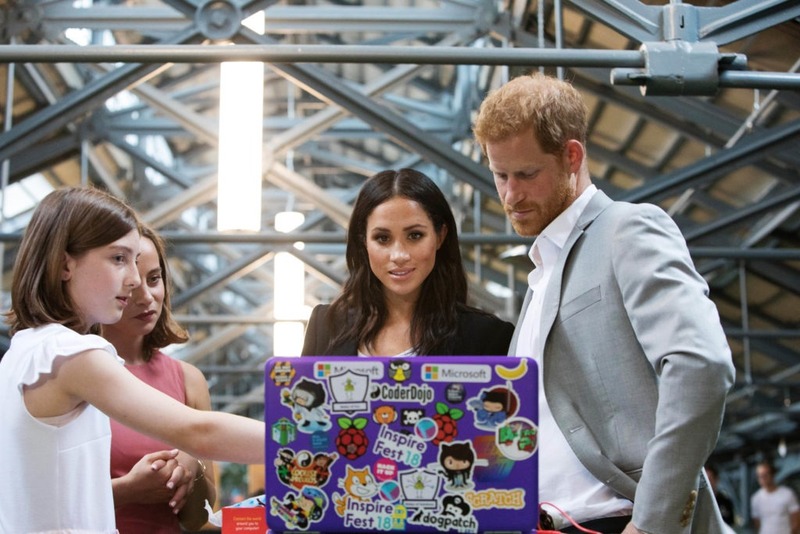 RTÉ News correspondent Sinéad Crowley shared a video of Harry and Meghan learning about CoderDojo from a young girl.